← How To Achieve Financial Freedom? 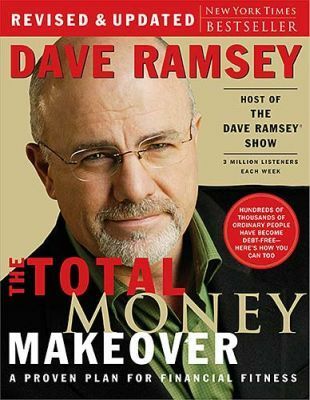 Dave Ramsey, who became a young millionaire, filed for bankruptcy before the age of 30. Among his bestselling books is the New York Times Bestseller ” The Total Money Makeover”. The basis of his financial education stands on 7 steps that will lead to freedom. It is worth noting that “freedom” does not necessarily mean “millionaire” but rather a series of steps that will take you to free yourself from financial problems … and is to build a world where money is not your biggest limitation or concern. Emergencies do happen, it’s just a matter of time: it will break the transmission of the vehicle, the kitchen or the refrigerator. The list is endless. Have $ 1,000 saved for an emergency that will help you to start your financial freedom plan with a small cushion for the unexpected. Make a list of all your debts and sort them from low to high (do not include the mortgage). The smallest debt should be your priority. Attack with everything you have that little debt until you pay. Then with the money that you pay the first debt begins to pay the second smallest and so on. The goal is to get out of debt completely. Some financial experts believe that the plan of the “snowball” must first be paying higher interest debt and go on paying all your debts to lower interest. This is not so for Dave Ramsey. He explains that organizing your debts from lowest to highest will pay the smallest quickly which will give you small victories that will help you stay in the plan. For now, your emergency fund should have $ 1000. After paying all your debts should have a cash flow much more readily. With the money you save to be able to increase your emergency fund of 3-6 months of expenses. For example, if in your budget you need $ 2,000 a month to live, then you need to increase your emergency fund from $ 6,000 to $ 12,000. This will give you an amazing peace in knowing that you have 6 months of expenses saved in case of an emergency. Then you pay all your debts (excluding mortgage) and did you increase your emergency fund to 3-6 months of expenses, you start saving and investing at least 15% of your gross income for retirement. If you have children, step # 5 is saving for their education. At this point you have 6 months of expenses in your emergency fund, a monthly saving of 15% on your money and investment for retirement and some college education for your children. The next step is to make incremental payments on your house to pay for it in ahead of time. Now, you are close to a life without mortgage payment. If you found the above reading interesting based on the Dave Ramsey’s 7 steps to achieve financial freedom, I greatly recommend you to read the book “The Total Money Makeover”. It is full of valuable information on this subject that you should not miss. This entry was posted in Financial Freedom. Bookmark the permalink.